At Hal's Hair Center in North Augusta, South Carolina, we have helped thousands of area men and women suffering the devastating effects of hair loss, baldness, and thinning hair. Hal's Hair Center is a full service hair replacement and restoration center, providing non-surgical hair restoration and replacement solutions in the CSRA for over 50 years. Our reputation for discreet professional service attracts customers from as far away as Atlanta and Charlotte. 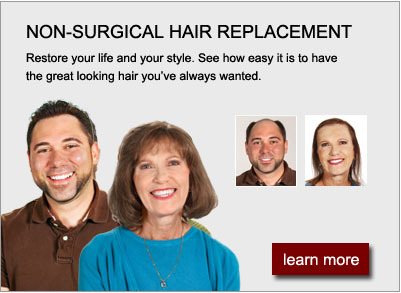 Since 1965, Hal's Hair Center has taken great pride in providing our clients and patients with the latest breakthroughs in male and female hair loss prevention programs and hair replacement solutions, including non-surgical hair restoration and replacement. Our caring, confidential hair loss counseling provides clients with the ability to make a fully informed decision on which hair loss treatment options are best for their particular hair loss problem. Our skilled artistic and technical team of hair restoration professionals can create for you a sensational new look or a happy "welcome back" to your own favorite style. Now you can shower, exercise, walk into the wind, apply for that promotion at work ... all without worrying about your hair. Live life the way you want, without embarrassment, without being self-conscious, with a full head of hair again. Take the first step to a new you. Schedule your free, private and confidential hair loss evaluation today. With hair restoration, there are lots of options to consider but only one phone call you need to make. 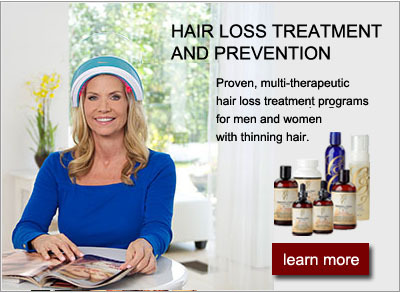 Just request a Free, Confidential Hair Loss Evaluation or call (803) 278-1817.